How to Spot a Knockoff Rugged Tablet? Like anything else you buy, if the price seems too good to be true, there’s an excellent chance that your instinct is right. You always get what you pay for. So how to spot a knock off device? 1 )How many rugged specs are disclosed? IP rating may provide information against dust and ware but dust and water are not the only hazards threatening the tablet’s reliability, data security, or even worker safety. A truly rugged device will be MIL-STD-810G tested for drops, vibration, shock, extreme temperature tolerance at a minimum. The best rugged manufacturers will test device behavior when exposed to high humidity levels, salt fog, fluid containment, and frequent altitude variations. 2) How specific does the manufacturer set their specific specs, and how are these capabilities certified? It’s not enough to say that a tablet can handle extreme temperatures or it’s safe to use in Hazardous locations. Are there any certifications to certify HazLoc safety with a third-party and detail the exact operating range for every other rugged spec that applies to their device’s claimed rating? 3) What level of engineering has gone into achieving a rugged rating? How are these devices tested? As a consumer, you may want to understand the exact technology used to make them these way. True rugged device manufacturers, supply you the information so you know how rugged your mobile device actually is. Other relating engineering questions to ask are, is the tablet still waterproof when the I/O ports are open? How are internal antennas designed, will the tablet stay connected in dodgy reception areas? At what temperature can the processor withstand to protect it before it gets too hot? 4) How long is the device expected to last? This isn’t about the length of the warranty of the device but about the time that you can use your entire installed mobility solution and workflow. Your rugged computer should last a minimum of 3-5 years on average. 5) What is the sticker price and total cost of ownership? 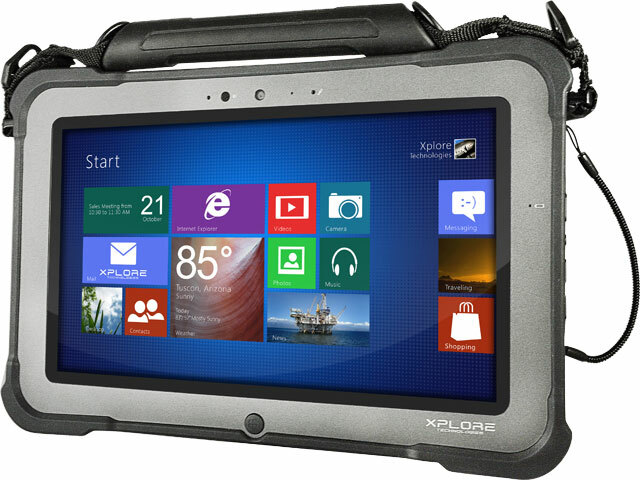 True rugged tablets are designed to survive and thrive for many years. It requires lots of engineering, materials, and manufacturing process. As a result, some of the costs are front loaded. 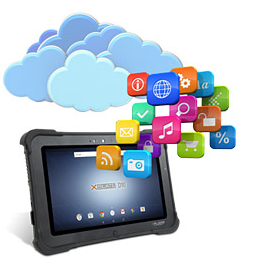 A well-made rugged tablet will dependably do the job you need it to do. The return would be it will reduce and oftentimes prevent organizational costs incurred by other less expensive device options. As industry experts, we believe that it is hard to make a fair assumption about the device actual value based on the upfront cost. A rugged device superiority over another can only be determined once you understand the ancillary costs that will be required to implement the right workflow software for the device, deploy comparability accessories, and ultimately secure and maintain the entire mobility IT solution for the future. Check out our selection of rugged tablets and rugged laptops selection that have passed all the tests. Feel free to contact Barcodes if you have any questions, don’t sacrifice performance to save money that will help you secure approval on your next project. 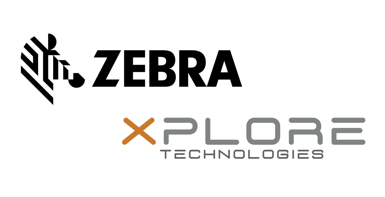 Zebra and Xplore Technologies corporation announced that their boards of directors have approved a definitive agreement in which Zebra will acquire Xplore. Diverse Portfolio – Xplore has established a leading position as an innovative developer of the ultra- rugged tablets, laptops and a range of performance matched accessories. They are designed to withstand the demanding conditions across diverse end markets in oil & gas, manufacturing, military/ government, healthcare, public safety, transportation & logistics, and retail verticals. This is going to give Zebra a more diverse portfolio in rugged mobility. Leader in Data Capturing – With Zebra continuing to invest in their Enterprise Tablet category, this acquisition further solidifies Zebra’s position as the world leader in Enterprise Mobility. In-Process – Business is as usual for Zebra and Xplore until the acquisition is complete in Q3 2018. As Zebra continues to grow, Barcodes Inc will still be your number one source to any data capturing mobility products and resource. If you have any questions, feel free to contact our barcode experts and we will be happy to help! In 2012, the United States Congress enacted the “Moving Ahead for Progress in the 21st Century” bill, which included a provision requiring the FMCSA to develop a rule mandating the use of Electronic Logging Devices (ELDs). The purpose of the ELD was to electronically record a driver’s Record of Duty Status (RODS), which replaces the paper log book that drivers use to record their compliance with Hours of Service (HOS) requirements. In December 2015, the Federal Motor Carrier Safety Administration (FMCSA) published the final electronic logging device rule, or ELD Mandate. In accordance with the mandate, fleets have until December 2017 to implement certified ELDs to record HOS. Additionally, fleets that are already equipped with ELD technology will have until December 2019 to ensure compliance with the published specifications. What does an ELD do? ELDs installed in motor vehicles can monitor and record a whole host of data about the vehicle and its driver that go beyond RODS – from Driver Vehicle Inspection Reports (DVIR) to driver behavior reporting on speeding, idling, and hard braking. Many systems are capable of integrating map and route optimization solutions as well, which can help drivers navigate through the best routes on any given day. What are the benefits of ELD? Can I use rugged smartphones and tablets instead? Knowing that there is a cost burden associated with adopting new technology, the FMCSA has authorized the use of rugged handhelds, smartphones, and tablets as the system as a whole meets ELD requirements, including a hardwired connection to the truck’s engine. This helps address the start-up costs associated with some of the HOS compliance systems. 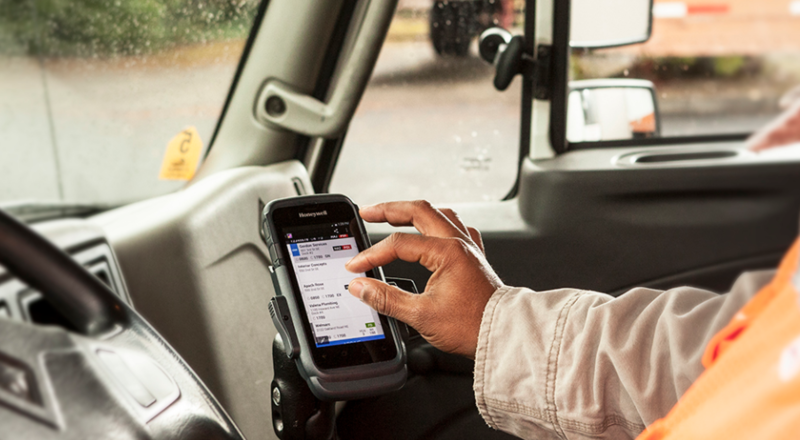 Furthermore, most truck drivers are already using rugged devices as part of their other operations, such as direct store delivery, signature capture, route optimization, and inventory management. They also allow the drivers the flexibility to choose from a wide range of mobile devices that they are comfortable using. What are some mobile device options? To learn more about the ELD Mandate or to get a free consultation on an ELD hardware and software solution, reach out to one of our Barcodes, Inc. representatives. Xplore Technologies has announced their new Xplore xCapture Pro camera software for their Bobcat and XC6 Windows-based tablets. The new camera software provides end users with photo editing, geo tagging and enhanced barcode scanning functionality. The addition of xCapture Pro as an integrated tool for the Bobcat and XC6 reduces the need for additional devices in the field and offers functionality to enhance the productivity of mobile workforces. Xplore xCapture Pro is an ideal enterprise solution for field service, asset management, inventory management or occasional scanning of barcodes. The software is also beneficial for users who may need to know the time and location for when and where a photo was taken, such as a field service technician or insurance adjustor who wants to document an event or condition. They can also use the software to simply edit a photo or make notes on the image.